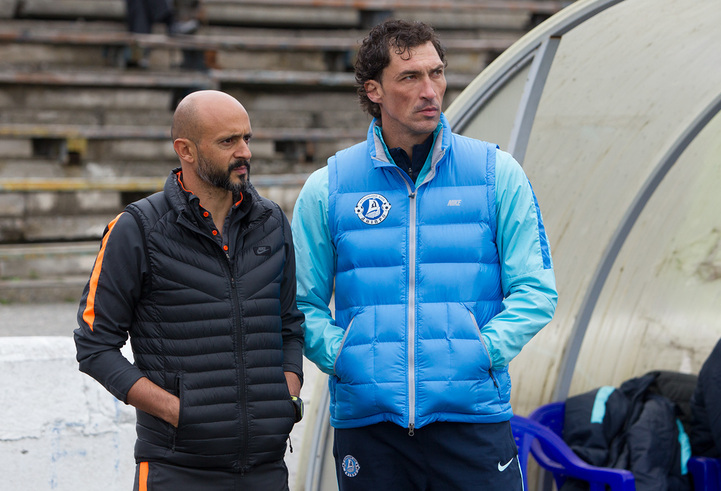 In a match of the 18th round of U21 Championship, Shakhtar faced Dnipro. U21 Championship. 18th round. March 12, 2016. Novomoskovsk. Metalurh. 9C. On 29 minutes, Bliznichenko (Dnipro) missed a penalty (goalkeeper). Shakhtar U21 were topping the league table (43 points), Dnipro were six points behinds sitting in third place. Compared to the Vorskla game, there was one change in the Pitmen’s starting line-up: captain Mykhailo Shyshka returned to action after serving suspension. The opponents did not rush things, but Dnipro were gradually becoming more active and took two shots on goal, with Yevhen Gritsenko making two comfortable saves. The hosts took a dangerous free kick on 20 minutes – just over the crossbar. The Pitmen created their first chance on 28 minutes, when Serhiy Gorbunov received a pass, bore down on goal and struck goalwards – the ball hit the goal post. The hosts’ attack led to winning a penalty, but Gritsenko guessed the direction of the shot and did not allow Bliznichenko to seize on the rebound, and Taras Kacharaba cleared the ball off the goal line. After that, the teams became more energetic, the match saw an end-to-end game. Andriy Boryachuk had the best chance, as he fired the ball over the crossbar from a tight angle. In the first half the goals did not come. The hosts started the game energetically. In one of the attacking moves, the Pitmen came close to scoring an own goal. On 57 minutes, the Pitmen responded with a good long range shot from Gorbunov, and soon Oleksandr Zubkov struck from distance. On both occasions, the ball flew just wide of the goal post. Dnipro also had a chance, but Gritsenko played superbly, keeping out a Kozhushko shot from point blank range. On 77 minutes, Zubkov struck a first-time shot from outside the penalty area during a fast attacking move – Dnipro’s goalkeeper made a save. And soon the Pitmen could have opened the scoring: Zubkov sent the ball over the wall, the hosts’ goalkeeper parried away a shot when Andriy Korobenko tried to seize on the rebound. The closing stages of the match saw the hosts dominating proceedings; they had two decent chances but Gritsenko played well. As a result, 0-0. In the league table, Shakhtar are on top with 44 points. Dynamo and Dnipro are 2 and 6 points behind. - Three teams are fighting for the first place, so our meeting with Dnipro was very important. It was a difficult match - both for us and for the opponents. Primarily because of the field conditions, so we failed to show our game, it was difficult to control the ball. But both teams like to play in a combination manner. Nevertheless, we had good chances: for example, in the first half Gorbunov hit the post. And in the episode with a penalty kick, our goalkeeper deserves praise - he did perfectly, helped us out! The game, in my opinion, was evenly matched. As a result, we are satisfied, although you always want to win.